In the summer of 2013, Pamela Shavaun Scott started having “24/7 severe headaches” — so severe that she couldn’t sleep. It wasn’t before December that she heard for sure that it was a brain tumor. 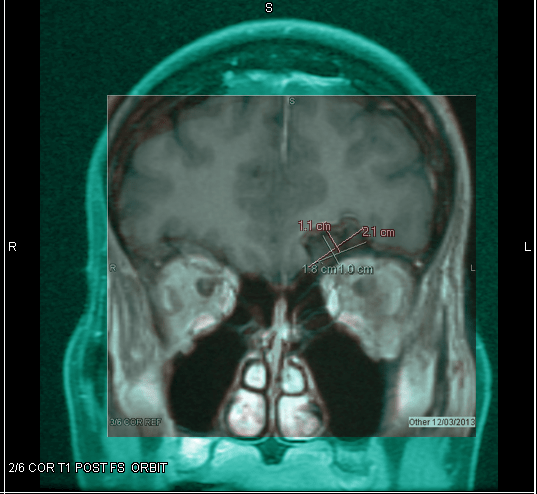 Initially, when Scott had an MRI, radiologists seemed unconcerned when they discovered a mass over an inch in diameter. About three months later, after another MRI, doctors said that it had ballooned about half a centimeter, a sign of malignance. Scott’s husband, Michael Balzer, requested her DICOM files, which are commonly used for medical imaging. 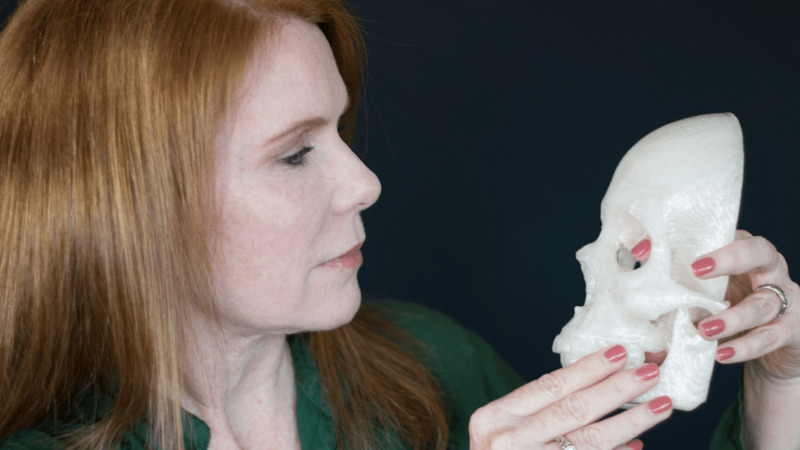 As first detailed by Make magazine, Balzer, who is a 3D imaging expert behind the websiteAllThings3D, used Photoshop and layered the 2D images to compare what radiologists were telling his wife to his own research. 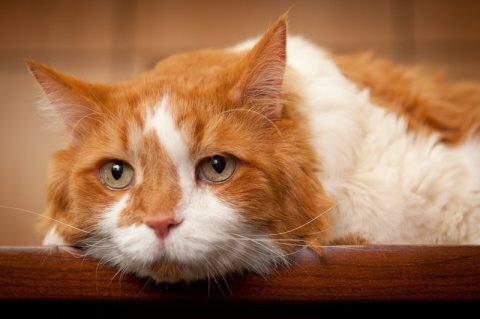 He found the tumor hadn’t grown at all. It was clear they couldn’t simply rely on what the doctors were saying. This image shows that two radiologists from the same clinic came up with two different measurements, despite the tumor not growing at all, Balzer said. Scott, who is a family psychotherapist that researches things like video game addiction, said several neurosurgeons told her that, because of the mass’ location (behind her left eye), the only option was “sawing your skull open” and lifting the brain to remove the tumor, which, of course, comes with tons of risks, including possible cognitive damage and blindness. Scott worried she’d never be the same. It was the second time doctors were telling the couple about frightening possible scenarios; Scott had her thyroid removed in 2013, an altogether separate medical ordeal. Some doctors predicted similarly invasive procedures for that, but through diligence, she was able to undergo a comparatively minor procedure at the University of Pittsburgh Medical Center. Balzer began experimenting with 3D imaging technology from other parts of the world. Using a tool called InVesalius — open-source software from Brazil that uses DICOM, MRI and CT files to visualize medical images — as well as another imaging software 3D Slicer, he was able to create renderings of his wife’s tumor. The couple sent them out to hospitals across the country around February, Balzer said. UPMC — the same hospital where Scott had here thyroid removed — agreed to take on the operation. The procedure, compared to the other options, was almost completely harmless. Instead of sawing into her skull and lifting the brain, the doctors planned to go through her eyelid. The couple sent the hospital the DICOM files, as well the 3D volume renderings. And about three weeks prior to when the couple arrived in Pittsburgh for Scott’s surgery, Balzer sent the surgeons a physical 3D rendering of parts of his wife’s skull so they could examine and look at what they were dealing with. He said it was the first time doctors had something like that. The surgeons were able to remove 95% of the tumor (about 5% was wrapped around the optical nerve — too dangerous to remove). There’s a very slim chance that it will grow back, the couple said. After the surgery, Scott said it took her fewer than three weeks to recover enough to return to work. Though Balzer’s 3D renderings can’t take all the credit for how smoothly everything went, he said that the surgeons were “very excited” about what he had done. He also realized that he didn’t need to rely on doctors alone for medical advice. Flavour of the week: 3D Printed smoothies! Bananas have been referred to as “the perfect food.” Not only are they rich in nutrients but, in terms of form, they exemplify the perfect self-contained packaging and delivery systems. Who doesn’t enjoy peeling a banana and admiring its ingenious design? Not content to leave well enough alone,3DigitalCooks, a website devoted to making and reporting “digital gastronomy news” has conceived of a new way to approach the banana. Printing With Bananas, 3DC’s recent project, combines the smoothie fad with 3D printing. After extolling the nutritional virtues of the banana, 3DC’s banana-based blog entry describes the process through which they 3D printed with bananas. Probably not surprisingly, the consistency of the banana, although ideal for smoothies, proved problematic. Extruding the pureed banana was one thing. Even printing it layer by layer was not so challenging, but getting the end result to be anything but a puddle of formerly firm banana was difficult. 3DC solved the consistency problem by consulting the experts at the FoodDev section of Reddit, who recommended adding a thickener — potato starch proved to be the best — to the pureed bananas, ensuring that the printed end result would take a form other than unmanageable (and, frankly, unappealing) liquidy mess. However, the tendency of bananas to turn brown when exposed to air needed to be confronted, so the team added orange juice to counteract the darkening. The results were less than impressive and we’re wondering if nobody on the 3DC had a grandmother who could recommend lemon juice. In any case, consistency issues were surmounted and the 3DC team got to work 3D printing. They experimented with temperatures and the amount of potato starch to water and orange juice proportions, and struggled over unsightly lumps and discoloration. Their solutions are provided at the end of the blog, although, clearly, anyone willing to take up the torch and 3D print their own banana-flavored delicacies is encouraged to experiment with recipes, temperatures, and consistency. Although the “Printing With Bananas” blog entry doesn’t provide information about the equipment 3DC uses to produce their 3D-printed digital edibles, their site explains that they use PLYUMP, an open hardware peristaltic extruder, which is designed for use with 3D printers. Luis Rodriguez Alcalde, founder of 3DigitalCooks, describes the evidently aggravating process of finding the best extruder for the team’s purposes. Unable to find a suitable existing extruder, he set about designing and creating his own; the PLYUMP currently in use is version 0.43. In addition to 3D printing bananas, 3DC’s collaborators, from Amsterdam to Portland, have shared their own digital edibles projects. There’s the “Bot-B-Q,” an open source 3D printing barbecue from Frankfurt, Germany, “Laser Cooking” using a laser cutter as a dry-heating cooking device from the Fukuchi Lab in Japan, and from Texas, 3D printed “Piq Chocolates” with personal inscriptions, plus a range of other links to digital food prep sites making 3DC definitely worth perusing even if the projects aren’t feasible due to your own limitations — equipment, palate, or otherwise. Have you ever tried 3D printing with banana puree? How about any other foods? Let’s hear your thoughts in the 3D Printing & Bananas forum thread on 3DPB.com. We’ve all heard that 3D printing is getting increasingly sophisticated, from printing components for buildings and cars and whatnot. And 3D printing in healthcare is no different. The latest example comes from a company that created a 3D-printed heart model to support a 16-year-old patient with a tumor at Cincinnati Children’s Hospital. Belgium-based Materialise, which specializes in 3D printing for medical applications, was approached by Dr. Michael Taylor, the director of advanced imaging at The Heart Institute regarding the patient’s condition. Bradley White, the patient, was born with a heart tumor and has had numerous open-heart surgeries since he was three-years old, and has a defibrillator implanted to protect against sudden cardiac death. But he recently was back in the hospital for yet another procedure to stop the electrical interference caused by the large cardiac tumor. Dr. Tayler asked Materialise to create a 3-D replica of Bradley’s heart using Mimics Innovation Suite software, modeled on CT scan data. The 3-D printed replica allowed physicians to better understand the complex relationship of the tumor, printed in a hard, opaque material, and surrounding anatomical structures printed in a flexible, transparent material. That let the team of doctors proceed with an electrophysiology study and catheter ablation over a risky surgical resection of the tumor. 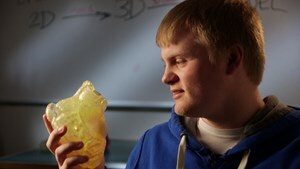 The replica also revealed just how big the tumor on Brand’s heart is, which surprised Bradley himself. Materialise is hoping to expand its 3D printing capabilities further into healthcare, and clinicians at Cincinnati Children’s think it can be a great use of technology applied to healthcare and imaging. 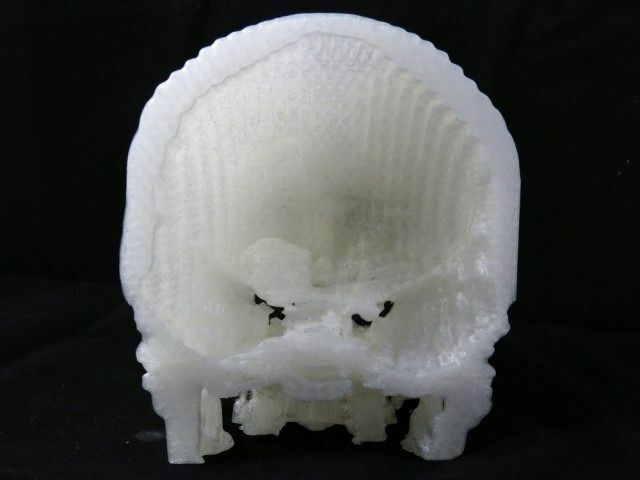 “I think 3D Printing will clinically take us to the next generation of imaging. This is our future,” said Dr. David Morale, a cardiothoracic surgeon at Cincinnati Children’s. The first 3D printed vertabra has successfully been implanted in 12 year old boy! Follow the link to read more! Doctors at Peking University have successfully implanted the first 3D printed vertebrae in a young patient. The patient, a 12 year old boy, had a malignant tumour in his spinal cord. After hours of specialized spinal cord surgery, doctors replaced a section of cancerous vertebra in his neck with the 3D printed piece. 3D printing creates layer upon layer of material in specific patterns or shapes to make a 3D object from a digital model. Materials in 3D printing are usually polymers and metals, and in this case, a titanium powder which is a traditional orthopedic implant material. As far as tradition goes, that’s where the similarities end. Because of the limitations of traditional orthopedic implant manufacturing – normally in geometric-type shapes with less realistic shaping or conformity to the bones, implants typically don’t attach to the bone without orthopedic cement or screws. The worldwide orthopedic market had global revenues of more than $36b in 2008. According to a new report by Freedonia, the demand for implantable medical devices in the United States alone is projected to increase 7.7 percent annually to $52 billion in 2015. The study reported that orthopedic implants will be one of the fastest growing and nanotechnology and biotechnology will fuel growth and demand to the market. With the Silver Economy coming of age, orthopedics is a high growth market. Because 3D printing is flexible, based on and created from a digital model, 3D printing enables orthopedic implants to be printed in any shape. This opens the door to hundreds of possibilities that weren’t available before. Now, instead of cement or screws, the implant is more in line or matches the bone around it. In the case of the boy’s 3D implant, the doctor’s took this one step further and made tiny pores in the implant so the bones can grow into the implants which secures the device and eliminates cement and screws. “Although the probability is very low, it is possible that under long-term pressure from inside the body, traditional implants might plug into bones gradually, or become detached from bones. But there will be no such problems for 3-D printed implants,” said Liu Zhongjun, Director, Orthopedics Department, Peking University. Liu’s team began the program in 2009 and provided designs based on their clinical experience and understanding of surgical needs. 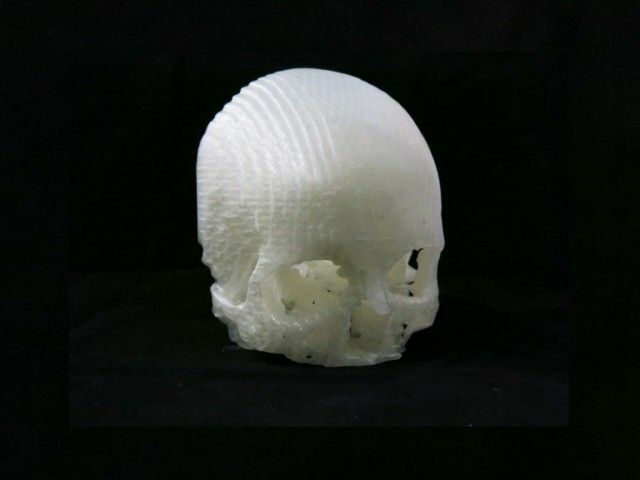 A medical device company digitalized their designs for 3D printing. 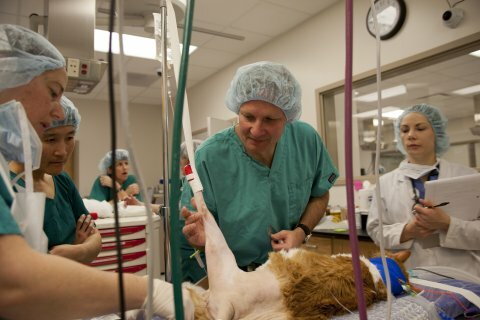 In 2010, they moved to animal trials with sheep and after trials proved the 3D implants were safe, they applied for human clinical trials in 2012. A must-read for all medical enthusiasts! During the recent 3D Systems’ 2014 Investor & Analyst Day, one of the key issues addressed was the new frontiers in medical technology. At 3D Systems, healthcare appears to be the fastest growing market. The management team stated its plans to build up its leadership in this field. The company plans to invest and expand its virtual surgical planning (VSP®) capabilities, broaden its range of implants and surgical tool manufacturing and develop new personalized medical devices, such as the recently introducedbespoke scoliosis brace. In April, 3D Systems announced the acquisition of Medical Modeling, a leading provider of personalized surgical treatments and patient specific medical devices, including virtual surgical planning (VSP®). The VSP is a service-based approach to personalized surgery that combines expertise in medical imaging, surgical simulation and additive manufacturing. It allows for planning maxillofacial surgical procedures in a virtual environment and transferring that plan to the patient using innovative models, templates and surgical guides manufactured with 3D printers. Recently, it was used by Dr. Oren Tepper, Assistant Professor of Surgery at New York’s Montefiore Medical Center and a pioneer in virtual surgical planning. He performed surgery on a 3-week-old girl named Jayla Vargas who had difficulty breathing due to her tiny jaw. Traditionally, in such cases, she would have had to wait 6 years until she was large enough for the operation. However, with the help of VSP technology, Dr. Tepper successfully fixed Jayla’s jaw. At the Investor & Analyst Day, Dr. Oren Tepper was the guest speaker and he discussed the current uses and future applications of 3D printing in plastic surgery. Dr. Oren Tepper explained how technology is important in plastic surgery as creativity and innovation are involved in building, restoring and renovating the human body. Therefore, practitioners embrace this technology. Over the last several years, training and skills have been the key points in technical innovation related to plastic surgery. Advanced techniques have been used and cutting edge technology has been incorporated. For the moment, all of these advancements are focused on the operating room itself. Nonetheless, this technology is bringing greater planning and precision to operating rooms, enabling surgeons to perform successful operations that were previously impossible. At the moment, 3D Systems and Medical Modeling has had a tremendous impact on bone reconstruction, but it is still a relatively small impact in the field. The untapped potential, especially in soft tissue reconstruction, is enormous. According to the doctor, the first real advancement was the CT scanner, which allowed plastic surgeons to look at bodies via the CT scans. Next, the skull was 3D printed so it could be used as a reference. The process started building stereolithographic models of the skulls so it was possible to study them in any direction and to practice surgery. That was the first generation, just printing the existing anatomy of the patient. Now, it is possible to plan a surgery on a computer for surgical simulation. Therefore, surgeons can move the bone structures where they want them to be and they can develop on the computer and 3D print guides and jigs which they sterilize and bring to the operating room. Phase 1. Virtual planning: Reduce fracture and establish occlusion on the computer. Phase 2. Modeling: Create jigs and guides that can be taken to the operating room. Phase 3. Surgering. Place the 3D printed jigs on the patient in the operating room and use them to put the facial fractures together. Phase 4. Analysis: Achieve what doctors have automatically set out to do surgically. The device size. He wasn’t sure if the device was small enough that it would fit under the lower jaw but this technology solved that problem. The underdevelopment of the patient’s bone. Jayla’s bone was so under developed that he needed to place the device exactly at the same parallel vector. Again, thanks to this computer technology he could perfectly do just that. The critical structures. The lower jaw is not just simply made of bone. Thanks to the computer, it was possible to identify the different structures and stay away from those critical structures. The bone width. This technology allowed him to predict the size of the bone so he knew exactly where to place the device. Dr. Tepper believes in the technology’s future growth potential as it will make the existing infrastructure better and faster and it will represent a tremendous opportunity in expanding markets. At the moment, there is no communication between plastic surgeons and 3D printing companies. On the contrary, it is an opportunity for real time communication so that companies like 3D Systems could have a role in the operating room. Dr. Tepper affirmed that surgeons will one day look back on non-VSP procedures as crude and primitive. How long will it be before this type of technology is commonplace within the operating room? Let’s hear your thoughts in the 3D printing and surgery forumthread on 3DPB.com. A 6 year-old boy from Florida born with right arm deficiency has received a prosthetic replacement. Now climbing a tree and catching a ball will be easier for him. Students from Florida University made it on a 3D printer for just $350 in just 8 weeks. Help for little Alex Pring, missing his right arm from just above the elbow, came from students at the University of Central Florida. An engineering doctoral student, Albert Manero, heard about the boy’s needs and decided to recruit a team of students to create a solution for the boy. “I mean, I’m me. So I don’t have an arm,” little Alex said. “I still try real hard to do things like other kids using what I’ve got. But it’s getting harder the more I grow,” according to the official website of University of Central Florida. The arm and part of the hand were made on a 3D printer. They run with off-the-shelf servos and batteries that are activated by the electromyography muscle energy in Alex’s bicep. Alex’s new limb only cost $350 to build. In comparison, prosthetic arms for children cost much more – about $40,000 – and they have to be replaced often as children grow. Also prosthetics for kids are more difficult to make than for adults because the components are much smaller, according to Manero. When Alex gets too big for his new limb, new parts will be printed and they will also be cheap– only $20 for a new hand, and around $40 to $50 for a replacement forearm. The arm was delivered to Alex on Friday. He practiced his new limb on a toy duck. He managed to grip the toy and squeeze it with his new hand. Then he rushed to his mother to hug her with both hands –for the first time in his life. Manero, who has a master’s degree from UCF in aerospace engineering and is writing his Ph.D., said he believes the team’s design could help many similarly affected children. And the enthusiastic team doesn’t want to stop at Alex – they have decided to help all children with such problems.